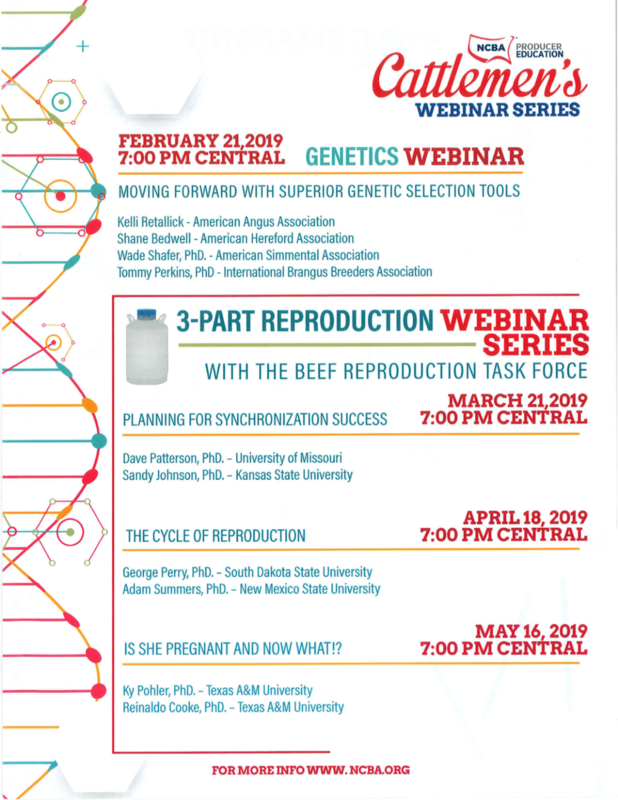 Reprinted with permission from The Cattlemen and Santa Gertrudis Breeders International. Some people just don’t trust EPDs. The acronym EPD stands for “expected progeny difference” — a numerical value that represents a prediction of the average performance, relative to a specific trait, among the progeny of a breeding animal. 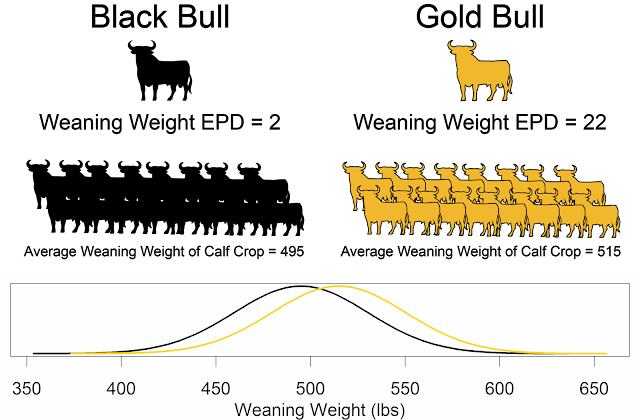 To aid genetic selection, EPDs are used to compare the expected performance of one sire’s calves with those of another sire’s. 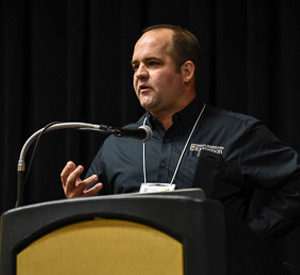 A researcher and assistant professor at the University of Missouri, Decker returned to his native New Mexico to speak during the Applied Reproductive Strategies in Beef Cattle Workshop hosted Aug. 29-30 in Ruidoso. He talked about the value of using EPDs to achieve genetic improvement over the long haul. Microbes are part of the natural world, they occupy all parts of the world from deep sea vents, skin, digestive tract, and our food. The rumen is one of the most microbe rich environments in the world. We use fistulated animals to have a window into the rumen microbiome. Rather than looking at the bacteria that come out of the digestive tract, we can directly sample the rumen. The microbes in cattle rumens can even digest cotton shirts! In cattle, the majority of digestion happens in the rumen by the microbes. So, most of the time when we are feeding our cows, we are really feeding the microbes. Cows eat 2 to 20 kg of dry matter, 20 to 80 liters of water, and 50 to 150 liters of saliva. The microbes produce 2 to 6 kilograms of volatile fatty acids (VFA). The rumen also produces 0.75 to 2 kilograms of bacteria that go into the digestive system and can be digested.